The gardening. I ran a couple errands earlier, put stuff in the car, then said to myself, “well, maybe I’ll go back in and just look to see what they have in the garden center.” Right…just look…my garden was cleaned out for a whopping ONE WEEK. 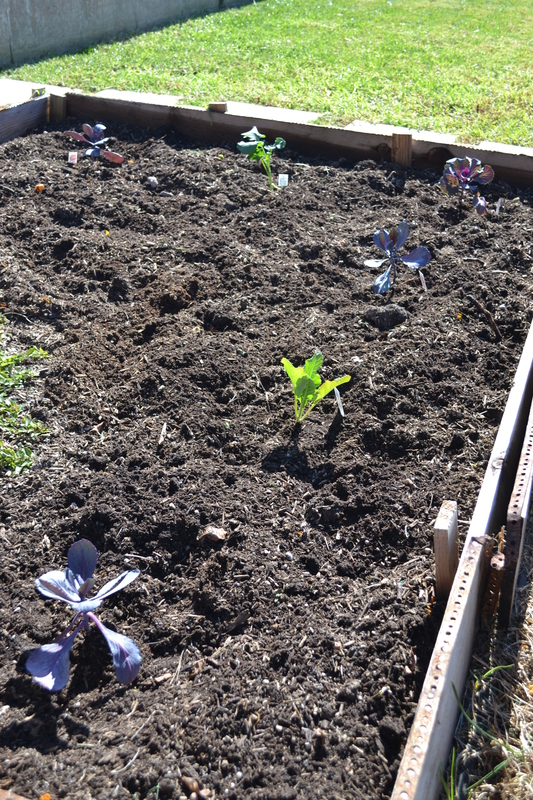 This entry was posted in Garden and tagged Broccoli, Cabbage, Cauliflower, Kale, Organic Gardening, SoCal, Winter Gardening by livinglikelinds. Bookmark the permalink. I’m so jealous you have a garden!!! We have our names in for a community plot but won’t find out until March! I love gardening, talk about a stress reliever 🙂 Hope you get your plot!! Oh, but the cold snap. So cold here right now! And this from the Canadian transplant. Good luck. I can’t wait for updates. Do you have a worm bin?